The blade of the Kershaw Zero Tolerance Rick Hinderer 0550 knife is stonewashed S35VN, which is highly resistant to wear and chipping. Opening this impressive blade is convenient with the use of dual thumb studs. The blade secures with a frame lock. The handle material is G-10 and is textured for increased gripping power. 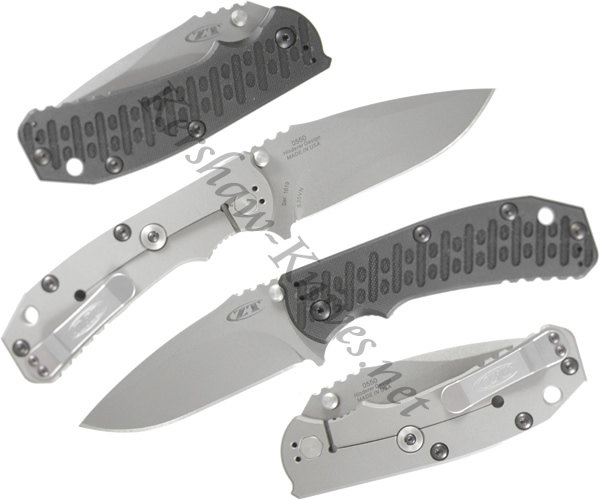 The Zero Tolerance Rick Hinderer 0550 has top quality materials and durable design to take use and abuse for years. Carry it proudly tip up or tip down, right handed or left handed.